Anne will be leading our Ultimate Athletic Recovery Workout Program. She has been practicing yoga since 2001, teaching since 2008, and completed her 200 hour certification with Rolf Gates, author of Meditations from the Mat, in 2013. Her background as a Posture Alignment Specialist is evident in her classes as she focuses on helping students maintain the functional integrity of the body while building strength and quieting the mind. Her continuing education coursework includes biomechanics, functional yoga anatomy, breath work, meditation and restorative yoga. She also has certifications specializing in Yoga for Men and Yoga for Athletes. An athlete her entire life, Anne acknowledges that it is dedication to her yoga and functional movement practice that has allowed her to enhance her range of motion and expand her fitness endeavors. She is committed to helping her students develop body awareness and mental clarity through mindful movement. Anne L’Heureux is a Registered Dietitian and Spartan SGX Coach with a passion for performance nutrition and overall wellness. Her collective background is Consumer, Diabetes, Geriatric, and Sport Specific Nutrition. She will be leading our 12 week nutrition education program beginning in May. Check her out in our weekly newsletter, with tips and articles on better eating. 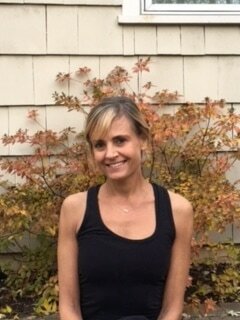 Anne trains OCR clients both physically and nutritionally from her home in Maine. Her online nutrition counseling allows her to help clients and OCR athletes from any location. Dana accompanied a friend to a yoga class for the first time in 1994. Initially she hoped only to add flexibility and core strength to an existing workout regimen. It wasn't long until yoga became one of the most integral parts of her life. Through daily practice she found her body getting stronger and her mind becoming calmer. She was grateful to be able to incorporate these changes into all other aspects of her life. After eleven years of dedicated practice she was finally able to find an opening in her life to pursue her passion. Dana completed her 200 hour teacher training program in November of 2013 under the expert guidance of her teachers at Yogaview in Chicago. She feels very fortunate to be able to pass on her love of the practice and the many wonderful benefits that come with it.